We’ve already investigated the ultimate banana bread and potato salad recipes, but today, all we can see is chocolate. As you probably know firsthand, it’s really not that easy to bake the perfect brownies to please every preference. Some like their brownies on the fudgy side, while others want them cakey. So what’s the secret to a good brownie, and is there one recipe to please them all? In search of the answer, the questions continue: Which baking temperature is best? Which type of chocolate should you use—or do you only need cocoa powder? To sieve or not to sieve the flour? Which sugar yields the best results? And should the eggs be beaten before added to the batter? We’ll look into each of these today to find the ultimate brownie recipe! To do so, we’ve gathered 5 recipes from well-known chefs and food bloggers who claim to have it all figured out when it comes to these chocolatey treats. We baked each recipe exactly as instructed and served them to our highly-qualified Kitchen Stories Eat Force, who then cast their votes for “the bestest.” Let the brownie games begin! So far, Martha Stewart is the big winner of our competition series. She’s not only won our competition for the “bestest” banana bread, but also for our favorite potato salad recipe. Will she now also win the brownie contest with her self-proclaimed “perfect brownies?” The instructions certainly are easy, and she oomphs up the flavor and texture by adding pecans to the batter. Find the recipe here. 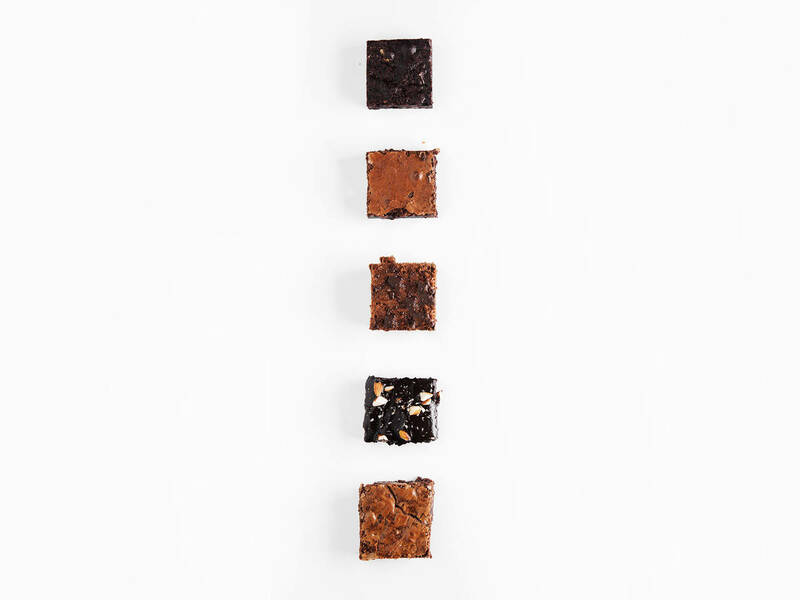 It’s no big surprise that the famously confident Gordon Ramsay reaches for the stars with what he calls the “world’s best brownies.” The required ingredients still seem pretty modest and are probably already in your pantry. But will the chopped dark chocolate that’s thrown on top of the brownies when half-baked make the difference in winning today’s race? Find the recipe here. Alice Medrich did some serious test-baking to find the best brownie recipe. She ended up with a recipe that only requires cocoa powder and no solid chocolate at all. Furthermore, her instructions are impressively meticulous—“beat vigorously for 40 strokes with the wooden spoon”. Will 40 strokes lead to the ultimate brownies or simply more defined arm muscles? Find the recipe here. We know that baking with avocado helps to create a moist texture, so maybe it’s also the secret ingredient to the “bestest” brownies? This recipe needs no flour or butter, and is made with coconut sugar. It’s also the only recipe to add a fudgy frosting and chopped almonds on top. You can definitely say that it’s one unusual recipe—but could it also be the best? Find the recipe here. Most brownie recipes use dark chocolate, but here comes BBC Goodfood who adds white and milk chocolate to their brownies. The instructions are also quite interesting, as they whisk eggs and sugar into a fluffly milkshake-y mixture before adding the chocolate. Will this do the trick? Find the recipe here. 1. Easy does it! Today’s most favorite recipes used ingredients you probably already have. An additional frosting on top looks great, but is not necessarily needed. In order to still keep things interesting, it also helps to add some chopped nuts to the batter. 2. The “right” sugar: Interesting enough, our top three recipes today used light brown Muscovado sugar or golden caster sugar. Their softer texture and caramel notes seem to really get brownies perfectly fudgy and flavorful. 3. Say yes to chocolate! Skipping real chocolate in a brownie recipe is an interesting thing to do, but maybe not the best idea. Instead, feel free to experiment with different types and go beyond the classic melted dark chocolate in your batter. Milk and white chocolate add new flavors and texture to your brownies when you only chop and stir them into the batter. 4. Stir it right: You shouldn’t overdo the batter to get a light, moist brownie texture in the end. Make sure to carefully stir together all ingredients just until they come together. And now it’s up to you! What’s your favorite brownie recipe? Or do you have any more tips? Comment below, or send us your very own brownie recipe at community@kitchenstories.com to be published on Kitchen Stories! Here’s our own best version of brownies, test it out for yourself!